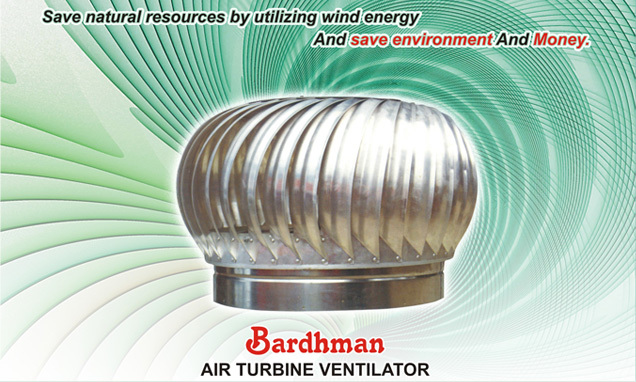 “Bardhman” Air turbo developed from Korean technology & which would assure 24 Hrs. 365 Days ventilation at zero operating cost to the industrial and domestic building. Also it is used to exhaust pollutants particles like smoke, dust, fumes poisonous gases, humidity and others from the building, some of it features & benefits as under.